I’m not the type of person to wake up in the morning and immediately start playing music. I love my peace and quiet; you’ll usually find me driving in silence on my way to work instead of listening to chatty DJ’s (who incidentally play more commercials than songs nowadays). But music is a huge part of what I do every day. I don’t play music aimlessly; it always has a purpose, from the group exercise classes I teach at the gym to the indoor workouts I do as part of my training. I listen to my iPod to pump myself up before a race. And on long swims, rides, and runs I usually have a song playing in my head or I sing it to myself to keep my rhythm. I recently switched to a Samsung Galaxy S5 and updated to Globe’s new GoSurf plan. I found out that subscribing to GoSurf gives me access to Spotify, the world’s biggest music streaming service. I’ve had Spotify on my laptop for a while now, but this gave me a reason to download Spotify on my S5. I don’t keep a lot of music on my phone, but now thanks to Spotify I can stream my favorite songs and create playlists anytime, anywhere. 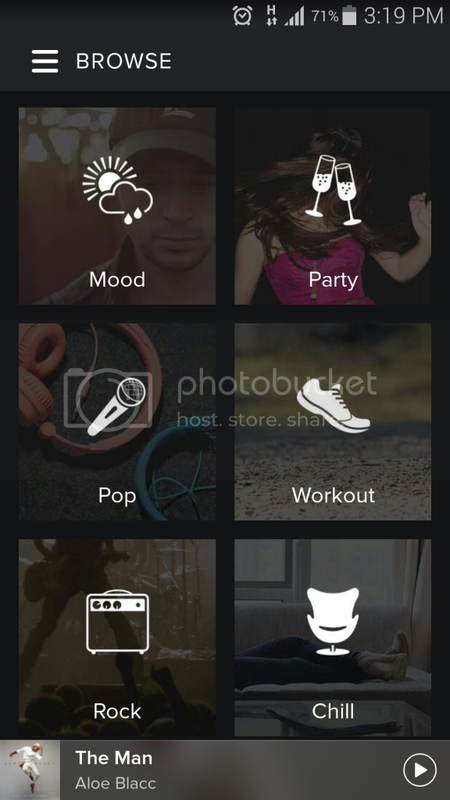 I particularly like the Browse tab in the app, which shows me featured playlists for certain occasions, moods, top hits, etc. Like I said, I don’t listen to the radio anymore so I use these playlists to discover new songs. 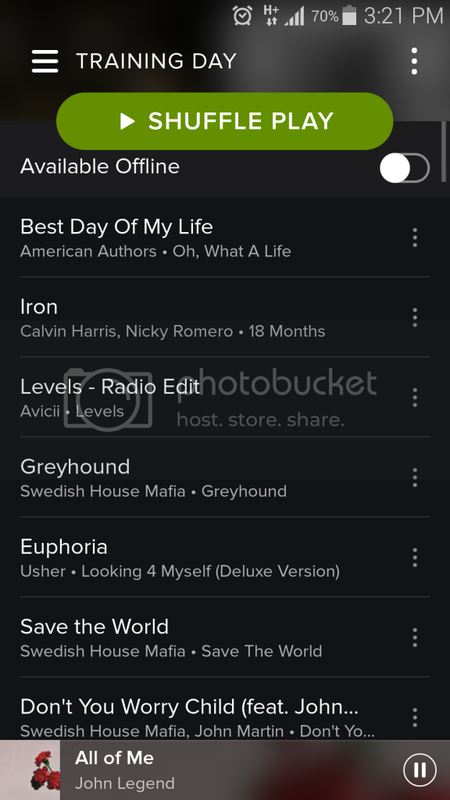 Endless playlist choices. Which would you pick? 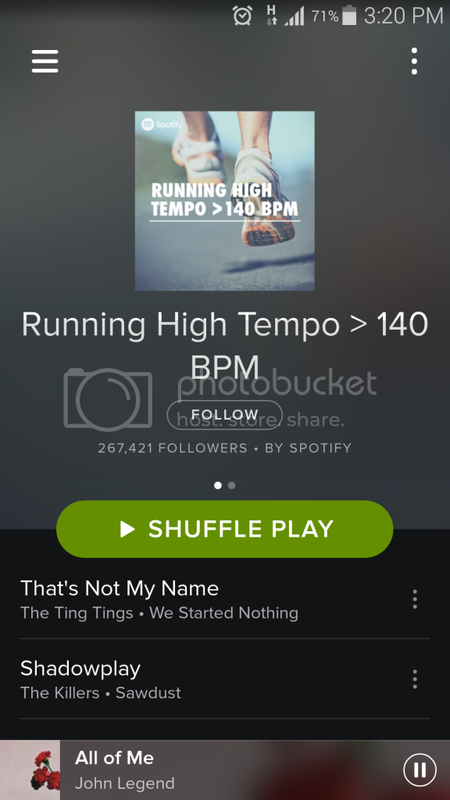 Oh look, a fast-tempo running playlist! 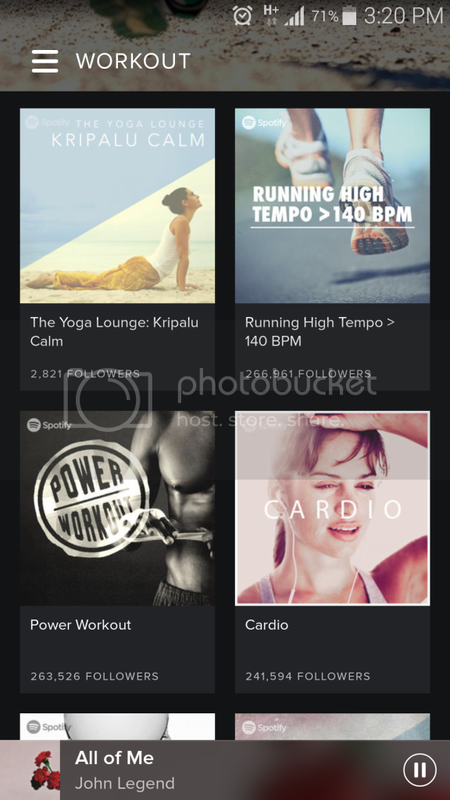 All GoSurf plans come with free Spotify Basic or Premium. You get a separate allocation of data for Spotify streaming, which is on top of the data allocation you have from your GoSurf plan. I was previously on mySuperPlan 999 and subscribed to UnliSurf, which meant with my P999 monthly bill I got 2GB data monthly. When I upgraded to GoSurf 999, I still pay pay P999 a month — but I now have 5GB of data and get Spotify Premium and 1GB of additional data for Spotify streaming. It’s a great deal, especially for someone like me who is always browsing information and updating social media on a smartphone, and never in one spot for long. 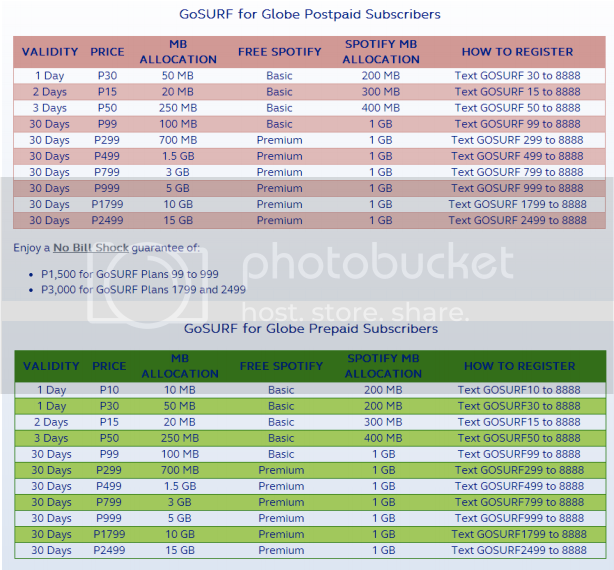 Click here for more info about Globe GoSurf. Well, I’m off to my Friday dance class. I’m doing a run on the treadmill afterwards and will definitely be plugged into Spotify for that. Can’t wait! Road to Roth Training Diary: 8 Weeks to Go!